If one thing is certain, outdoor perimeter and open space detection has been a factor in the security and safety of many sites throughout history. By ‘sites’ we do not just mean industrial and commercial sites, we are talking about any type of physical outdoor location where people or goods are housed and need protection of their perimeter. From the very pinnacle of society's hierarchy down to the common man, irrespective of country or culture, people at all levels have been affected throughout history by good and bad perimeter security. Today we are travelling back in time to see what evidence we can find of the challenges and indeed the woes that outdoor perimeter security has posed. If you read about the military aspect of Ancient Egypt (great page here on Wikipedia), you begin to realize just how important effective security was. Being secure from intrusion and invasion by enemies was the key to the country's eventual, long and colourful history. Ruled for the most part of that history by just one body of government, the country used everything available to it to protect its perimeters. The massive areas of desert surrounding Egypt were a natural barrier that large armies simply could not negotiate well enough to cross and be effective in an assault. Perimeter protection in this respect was afforded by 'mother nature' but the Ancient Egyptians knew they had to compliment this with man-made barriers. So began a program of fortress building along the country's borders both East and West of the Nile Delta where garrisons were housed. They could provide early detection of potential intruders and alert the main Egyptian military forces to come and help repel any potential invasion of the borders if need be. What is perhaps surprising to learn is that most cities in Ancient Egypt did not have perimeter walls or other means of defence. Such was the stability of the country and its confidence in its larger scale border protection. We are delighted to think that we play a modern day role in the perimeter security of that part of the world as we were privileged to be selected to provide the perimeter intrusion detection system for the Great Pyramids of Giza. 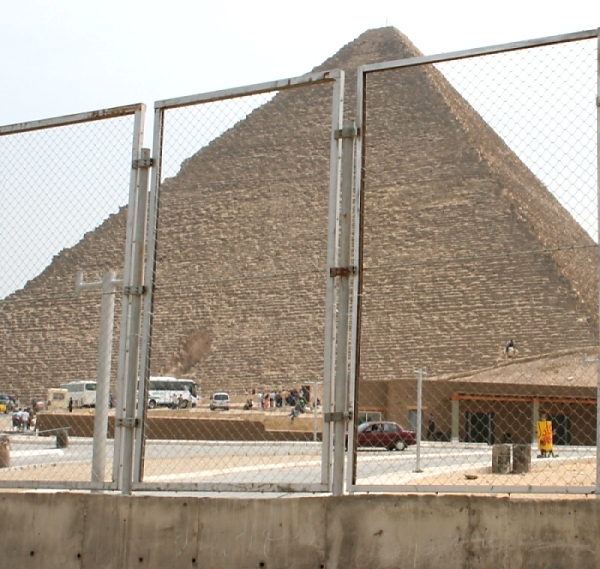 Read our pyramid security case study. When Alexander the Great entered Persia his main goal was that of the country's ceremonial capital Persepolis. In an attempt to repel Alexander's army, Persian troops were stationed at the pass of the Persian Gates as they were then known. Today the pass is called Tang-e Meyran which you will find located in the Zagros Mountains. This attempt to secure the outer perimeter of land that led to Persepolis proved futile. Alexander personally took hand-picked soldiers from his army and stormed the pass before rushing on to take Persepolis. Such was his swift intrusion of the great city's perimeter that he stayed there 5 months. 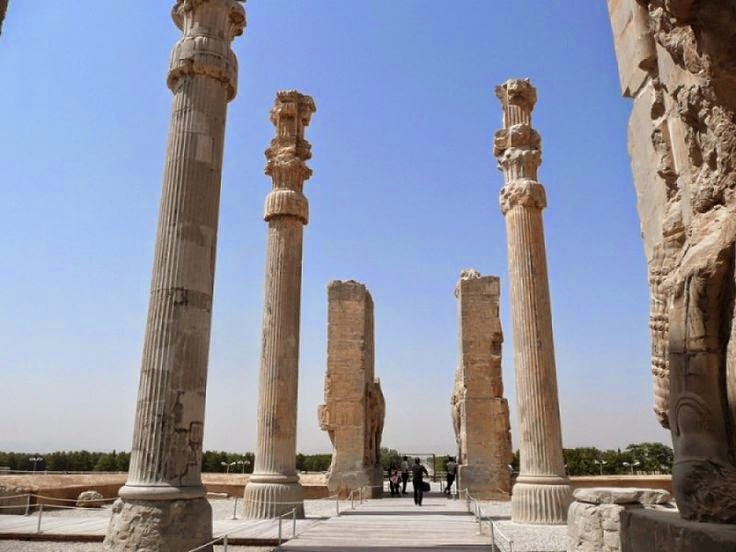 All of this came to mind instantly when our Technical Director Andy Moon visited what are now the ancient ruins of Persepolis. So if history teaches us anything, it is that outdoor perimeter protection, whether afforded by nature or man-made structures, is vital to any site's safety. As manufacturers of electric fence and perimeter security systems, including fence alarms and microwave intrusion detection, we supply many customers around the world. Our website is seen by a wide security-related audience, keen to understand our highly specialised industry and we hope this blog explains some of the more interesting and unusual aspects of our work as we continue to develop our range of perimeter security and intrusion detection system solutions.